I am one of those rare people who reads the credits during movies and television shows. I may not know every name listed, but I find it cool when I recognize names of “C” list actors, producers, or writers that I have come across before. So, I’ve learned a lot about the order credits are listed. Actors come first, then production designers, then the writers, and finally the director. The actors are always listed in order from the main character to obscure secondary roles. The main star is the first name and the guy that has two lines as an “average citizen” is the last. I do notice that once and awhile there will be a strange addition at the end. All of the actors will be listed and then it will read “also starring Samuel L. Jackson as King Chuck”. I made that example up, but you get my point. For some strange reason a major actor has a small role that gets noted at the very end. I don’t really get why that is, but it got me thinking about how the credits of our lives may look. Your name gets top billing because it is your story. Your friends and family are thrown in next. Then at the very end there should be an “also starring God as…”. But what role does God play in your life? I’ll assume that most people have seen The Karate Kid. If you haven’t. Go out and spend an hour and a half watching it. I promise it won’t be a complete waste. In the movie Daniel wants to learn karate. So, he seeks out Mr. Miyagi to train him. It takes some convincing, but Mr. Miyagi agrees to train Daniel. So, he has Daniel clean all of his cars. He tells him, “Wax on. Wax off.” Mr. Miyagi shows him a very specific way to clean the cars. Daniel doesn’t get it, but he does it anyway. Then Mr. Miyagi has Daniel paint his fence. Again, he has a strange and specific way for Daniel to do it. So, Daniel paints the fence, but he gets upset because he is not learning anything about karate. Then Mr. Miyagi makes Daniel sand his floors, too. Eventually Daniel gets mad at Mr. Miyagi, but Daniel gets put in his place. Mr. Miyagi goes through all of those specific motions with Daniel and attacks him while he does each movement. Every motion becomes a block. The waxing of the car and painting of the fence was his training. I think that God teaches us like this, too. He has us do things that don’t make sense to us at the time, but they are skills we will need in our lives. It may feel like God is being a bad teacher, but in reality is a master level teacher. He’s just being quiet about his end game. 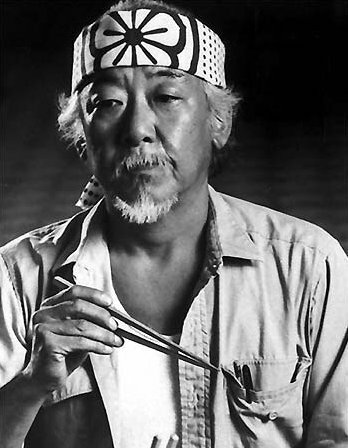 So, sometimes it can be “also starring God as Mr. Miyagi”. I think you can figure out where I am going with this. God can play many roles in our lives. Sometimes we don’t even know that he is working in our lives, but many times he flies in at the last minute and saves the day. You know, just like Superman. 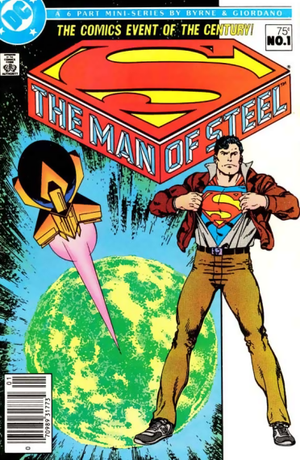 We are always thinking of Superman as being the man character of the story, but all of the people he helps have stories, too. Lois Lane, Perry White, Jimmy Olson, and every character on the street without a name. All of those people have stories and one of those people is you. I’m sure there is a time where God stepped in and saved the day. When you believed in him and had faith, God swooped in with perfect timing like Superman does in the movies. Sometimes the villain gets the “also starring” slot at the end of the credits. 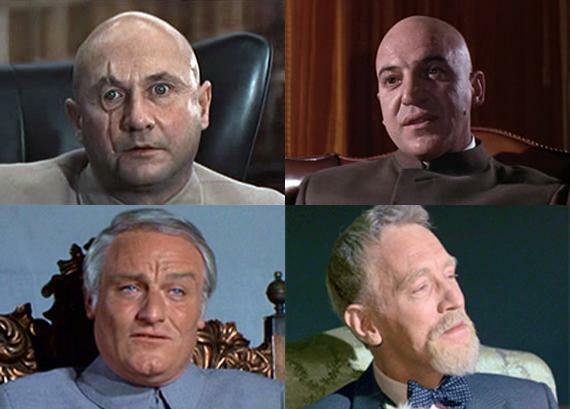 I remember many different actors that played James Bond’s arch nemesis Blofeld. You never knew when he would show up or who would be playing him. Unfortunately, many people treat God as a villain. There are the obvious examples like Atheists or Agnostics, but Christians do it too. There are many times when Christians blame God for their problems. I know I’ve done it before. It is easy to get angry with God because we believe he can do anything. So, when he doesn’t do something we want or feel like we need we label him as the enemy. He becomes Blofeld in our lives because we have made him into that character. But if we are faithful we will remember that God is not only all powerful, but all good as well. We can label him as the villain in our story, but that would be wrong because we are the ones that are prone to evil and not God. Our own brokenness gets in the way of being able to trust him completely and the last thing you want at the end of your credits is “also starring God as Blofeld”. You don’t want to pit yourself against God. This is the part where you fill the role God plays in your life. I know for sure that he is a savior, a father, a redeemer, and a friend. I know this because the scripture says so and that’s just the short list. The beauty of it is that he can play all the roles you need for your life. Just pray and talk to him to discover the role he will play in your story today.